Every week, the Bureau of Development Services publishes lists of Early Assistance applications, Land Use Reviews and Building Permits processed in the previous week. We publish the highlights. This post covers November 13th to November 19th, 2017. Two new buildings and restoration of a Historic building (Contributing Structure) in Alphabet district. 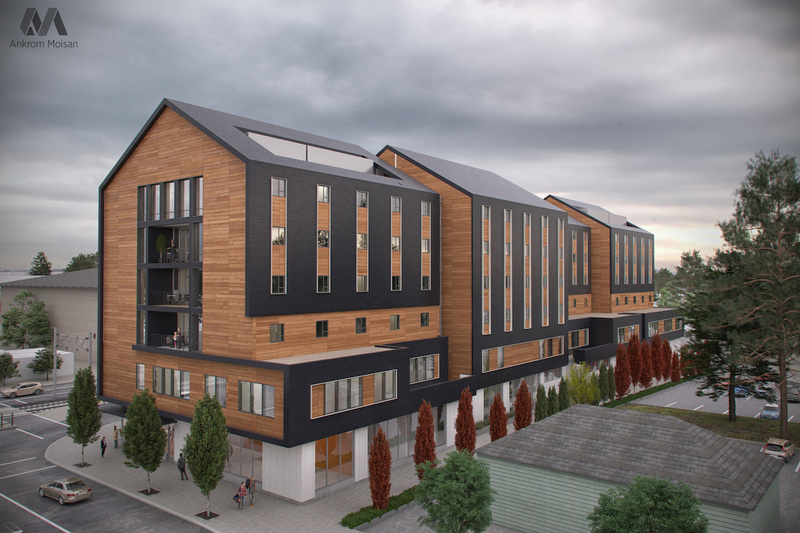 Current Code – New 4 story mixed use building. 1st floor retail 15 apartments proposed, no parking proposed. 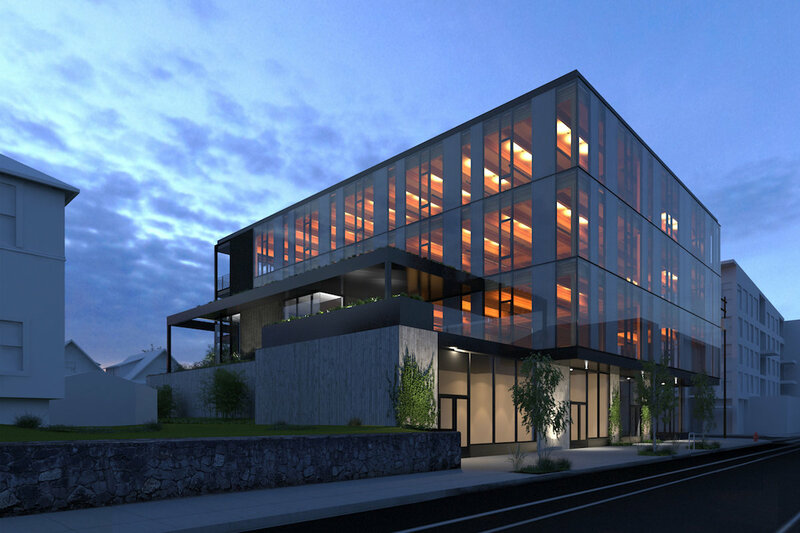 The proposal is a 1.5 acre site comprised of an existing two story commercial building to be renovated to be creative office/retail, a new wood framed five story multi-family building with ground floor retail, and a new manufacturing and production building with above with above grade parking. Total development to contain 72 apartments, 66,000 gsf manufacturing and production, and 94 vehicular parking stalls. Current Code – New 5 story 29 unit apartment building. Purposed development valuation will trigger a Type 3 review. New construction of employee lift dispatch building with dispatch, training, offices, kitchen and two bathrooms; Site Improvements including new vehicle storage area and employee parking area; re-paving private road leading to parking area. Adjacent lift storage building under permit 17-187922-CO.
Current code. Demolish existing buildings and replace with two new self-storage facilities with associated parking, utilities and landscaping. Review is for current code. New apartment building. EA to focus on setbacks. Northwest Plan District. TI for new brewery; change of occupancy from ‘M’ to ‘A-2’ for restaurant and ‘B’ to ‘F-2’ for brewery; new partition walls for kitchen, restrooms, office, brewery and storage room; new counter for bar, relocate entry. With 108 sf trash enclosure and parking lot improvements. Walk-in cooler under separate permit. FF4/ structural improvements and seismic upgrade. A building permit was issued for William Kaven Architecture’s project at 4075 N Williams Ave.
Demo existing building(s) and develop new 5000 sq ft building for assembly use. Site is non-contributing located in Yamhill Historic District. New 4 story mixed use building. Parking and retail on ground floor. Offices on floors two through four; enclosed transformer at southwest corner; associated site work; shell only. Separate tenant improvement permits required for retail and office spaces.